Hemp-derived cannabidiol (CBD) products are quickly becoming a burgeoning industry. Consumers can purchase the products in all fifty states and can receive the therapeutic effects of certain cannabinoids without any psychoactivity. Commonly used to help treat inflammation, pain, seizures and anxiety, CBD comprises a sizable portion of the cannabis market that patients and consumers are flocking to. Founded by Paul Benhaim in 2013, Colorado-based Elixinol is reaching this market with a line of hemp-derived CBD oils and capsules. The company has grown rapidly and now has agreements with exclusive distributors in Japan, Puerto Rico, The United Kingdom and South Africa. According to Chris Husong, sales and marketing director at Elixinol, achieving superior quality is central to the company’s growth strategy. “We are thinking about the long-term play here,” says Husong. 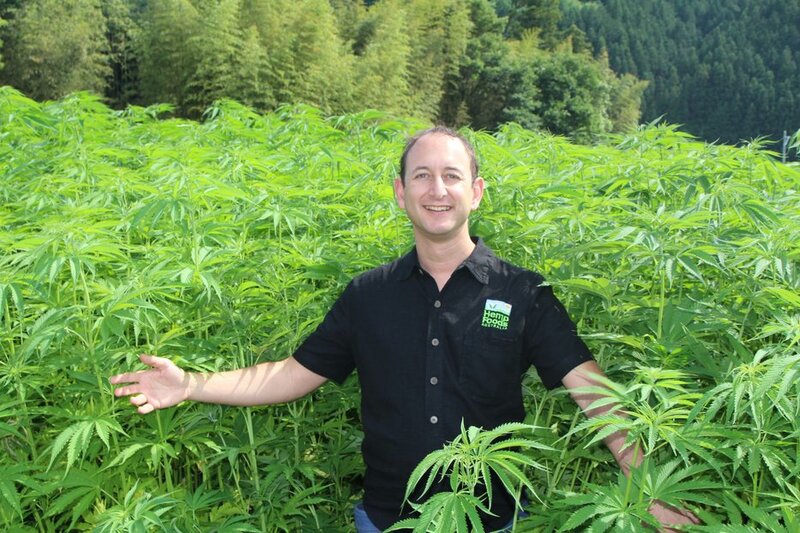 Achieving the highest quality possible starts with sourcing from industrial hemp farms in Northern Europe, according to Husong. Through good manufacturing practices (GMPs), the company pays close attention to every detail involved in producing the hemp-derived CBD oil. Safety and transparency are two core tenants in the company’s goal to strive for quality products. “We use third-party independent labs for our testing including one in Northern Europe where we source from in addition to Proverde Labs when it reaches us in Colorado,” says Husong. They test their products for over 300 chemicals (including pesticides, residual solvents and heavy metals) as well as for microbiological contamination and a unique terpene profile using GC-MS/GC-FID. 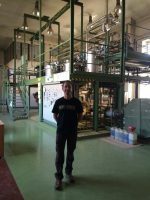 Co-founder Paul Benhaim at their extraction and testing facility in Europe. In addition to stringent manufacturing safety procedures and testing, tracking is a huge part of meeting quality standards. Each product batch also has a lot number. While batch numbers are a requirement in GMPs, lot numbers mean that they are well equipped in the event of a product recall. After the product is packaged, they perform additional spot-checks periodically. Contract manufacturing and white-labeling products is a large part of their business, so the company needs to meet rigorous quality standards for their partners as well. “We provide our oil to a variety of associates, but we are always looking for new partners on the cutting edge, innovating with new products that we can help with,” says Husong. Very often, this means doing a full plant extraction for different uses. Utilizing a full-spectrum plant extraction helps maintain a well-balanced cannabinoid profile with many of the original terpenes found in the plant. 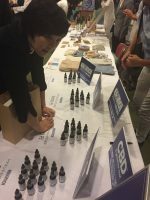 Akie Abe, first lady of Japan, purchasing Elixinol’s hemp-derived CBD oil. What makes their product so appealing to consumers is not just the quality, but also the method of delivery into the bloodstream and very precise dosing. “Our liposome products have a relatively new technology that allows the oil to be absorbed into your system via fatty acids, which lets you absorb the compounds much faster, requiring less of it and more consistency,” adds Husong. In addition to their fast-acting delivery mechanism, they produce capsules dosed to precisely fifteen milligrams and a delivery system they call ‘Xpen,’ which draws the oil in an oral applicator to a precise dose of fifteen milligrams every time. After the manufacturing process, the company pays close attention to detail in their packaging and distribution. “The packaging is built to maintain that quality in the manufacturing process and to extend the shelf life of our products,” says Husong. The technology that goes into their packaging involves using Miron Violet glass, which is anti-fungal and prevents external light from deteriorating the oil inside. This growing sector in the cannabis market is representative of a greater trend: the commodification of hemp and cannabis. When businesses like Elixinol scale up production of goods such as CBD oil, a lens focused on consistency and quality can not only improve business operations but also raise the standard across the entire industry.